Phoenix, Arizona-based metallers BACK FROM ASHES have completed work on a self- titled EP. The CD was recorded at Crush Recording in Scottsdale, Arizona with Ryan Greene (MEGADETH, F5) and contains six songs, including "Welcome to Me". BACK FROM ASHES draws influences from such bands as SLIPKNOT, ILL NINO and MUDVAYNE. 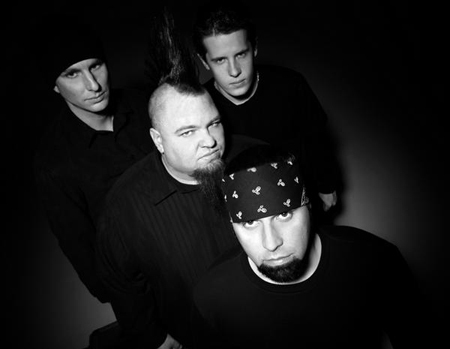 The group delivers "a potent mix of progressive, metal and rock . . . a sound that is not only unique but enthralling," according to the band's official bio. For more information, visit www.myspace.com/backfromashesmusic.